Doxa vs AEK Larnaca is the duel that draws the curtain over the 17th round of the Cypriot championship, which will be played at the Makario stadium, starting at 19:00. Doxa is one of the weakest teams in the Cypriot championship, which does not have a lot strong enough to afford to play at the play-offs, which is quite close, but will have a hard job . The hosts of the game are now eighth in the ranking, sixth in the sixth place. The band coached by Loukas Hadjiloukas managed to gather 17 points in 16 stages, winning five wins and two draws, losing nine times. Doxa does not have a bad attack, given that he has scored 24 times so far but suffers in defensive, winning 27 goals. AEK Larnaca is undoubtedly a better team with European “pedigree”, who also made his presence in the current edition of the Europa League, dreaming of the qualification in the next season edition. “Yellow-green” is currently in sixth place in the standings, the last one in the play-off, being at six points by their opponents, having the opportunity to distance themselves to nine lengths. The guests have managed to win six of the 16 championship games so far, winning five times, suffering as many defeats in all of them managing to score 20 goals, receiving five fewer. 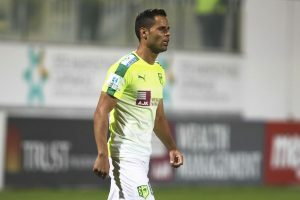 Doxa is a team able to score at least once in this dispute, while AEK Larnaca is a more valuable team, from which we expect a victory, so, starting from the premise that they will mark both, we are counting on the fact that we will have a minimum of three successes.